I’m honored to share this post with you by my friend Katie Reid. Her words bring grace to anyone who, like her and me, tend to hold on tightly to control. She has encouraged me and helped me grow over the last year. May her words bless you today as well. I had a pretty healthy upbringing. I live a fairly ordinary life. And I have some issues, don’t we all? For the last eight months I’ve had a monthly appointment with my life coach, Darlene, that has shed light on muddy areas where I need to get unstuck. I was surprised to discover just how stuck I was in toxic mindsets and unhealthy patterns. I’ve often been called mature by others, but I realized my emotional maturity was stuck somewhere in toddlerville. Now, I currently have a toddler and he’s adorable but he’s also in a stage of pushing boundaries and testing limits. In fact, tween daughter just came into the room crying because little bro got into her school supplies and ripped her new crayon box. My toddler-emotions surface when I’m offended. I pout in the corner or have a temper tantrum—flinging my feelings around in an unattractive display. It’s hard for me to express my hurt in a clear and concise manner. I like to drag up all the dirt and wallow in my wounded state after an offense. My life coach lovingly pointed out that God desires for us to grow up—not just physically and spiritually, but emotionally as well. For some reason I had neglected that part. I was stuck in a pattern of immature outbursts and less-than-effective strategies for setting boundaries and dealing with conflict. God keeps whispering to my try-hard heart, Do you want to be made well? And I hesitate. Yes, I do want to be well—physically, spiritually and emotionally—but I’m afraid of what it might cost. As Darlene says, when you start to mature and model healthy behavior sometimes those around you have an adverse reaction. They may feel off-balance as your usual, unhealthy tendencies start to fade. The roots behind our immature emotions often house dense undergrowth that trip us up, but pruning them is crucial to our well-being. It may feel rocky at first as you gain ground by taking the next step up the cliff, but it is worth it. 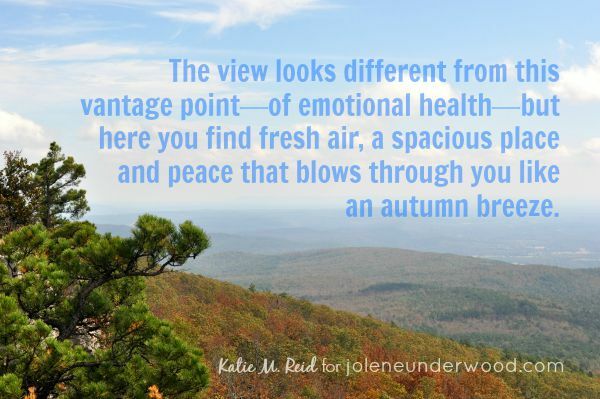 The view looks different from this vantage point—of emotional health—but here you find fresh air, a spacious place and peace that blows through you like an autumn breeze. Finding this better way doesn’t mean leaving the hard behind, it’s actually means facing that hard thing that you’ve been avoiding. You’ve been circling around the steep instead of taking the first step up it. So I ask you, Do you want to be made well? It is a strenuous climb, but I hear the view is worth it. -What is one area of your life that is not healthy? Is it physical, spiritual or emotional? 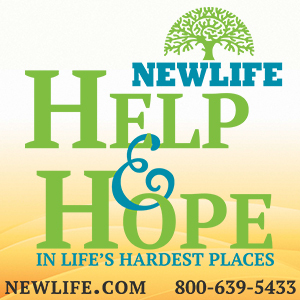 -What is one step that you can take today, towards health and healing? P.S. Could you benefit from having a life coach? I sure have. Check out Darlene at heartswithapurpose.com and start your journey towards getting unstuck today. 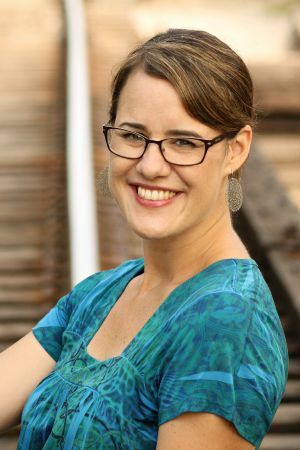 Katie M. Reid is a tightly wound woman, of the recovering perfectionist variety, who fumbles to receive and extend grace in everyday moments. She delights in her hubby, four children and their life in ministry. 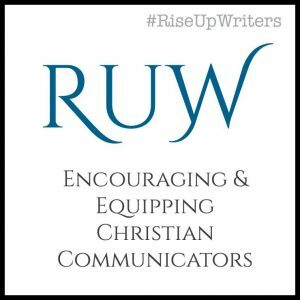 Through her writing, singing, speaking and photography she encourages others to find grace in the unraveling of life. 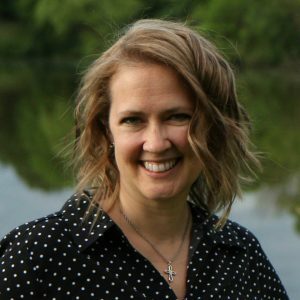 Katie is also a contributing writer to God-sized Dreams and Purposeful Faith and she and her family host a monthly giving initiative called Extension 26. Emotional growth is something many don’t talk about, but I’m so glad Katie shared about it today. Check out my Goodies page for more. 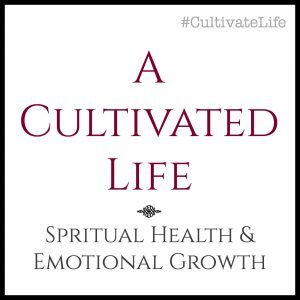 You’ll see a number of books I recommend in the area of becoming Emotionally Healthy & Spiritually Mature. 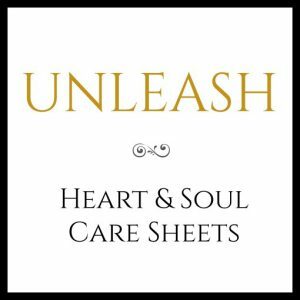 Get updates, tips, teachings, and encouragement for #UnleashSheets. 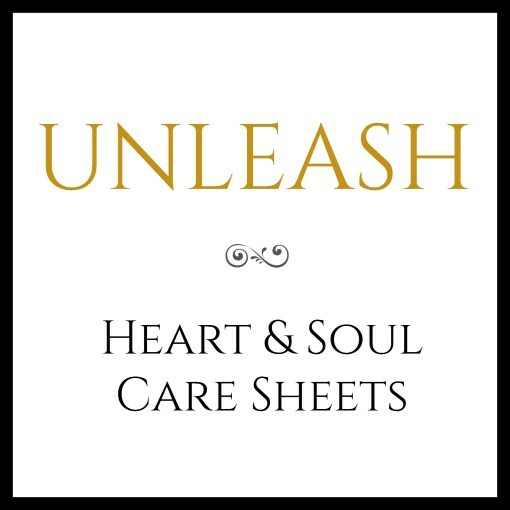 Unleash: Heart & Soul Care Sheets are an effective tool for facilitating spiritual growth, emotional health, and even soul-level transformation from the inside out.